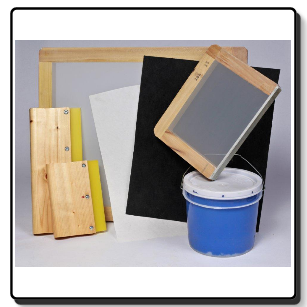 Screen printing supplies by Zim International are considered to be among the best screen printing products available in Bossier City Louisiana. Our screen printing emulsions are extremely high quality, easy to apply to the screen, and virtually pinhole free. For screen printers in Bossier City who use a lot of water based inks, we highly recommend our Zim International’s screen printing emulsions. If you work mainly with plastisol and occasionally print with water based inks, Zim Rapid Cote Emulsion is a great choice. If faster exposure times are desired and you only work with plastisol or solvent inks, Zim Dual Cure Emulsion will be the right screen printing emulsion for you.